Home Works was formed with the sole purpose of providing professional and honest services to its valued customers. The customers can count on us for all, property related requirements whether small or big and the customers would be served with the same enthusiasm. As a real estate company, we are catering to all the needs and requirements of our clients under one roof – be it sale or purchase of their property, relocation services, investment in properties, property advice, property management, etc. We have a wide experience in sale, purchase of residential & commercial. 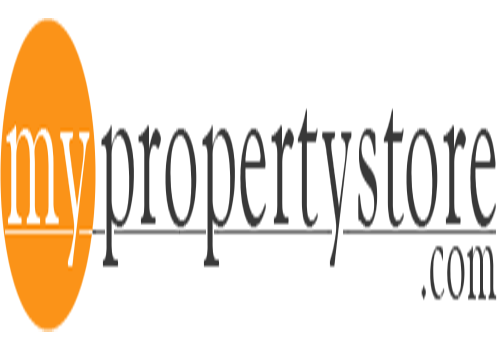 We have a database of various clients who want to sell or buy properties. We recognize and understand the need of our clients and assist them in finding a suitable property, which suits their requirement and budget. We maintain confidentiality about buyers/ sellers and conclude the deal at the best market prices. * Real Estate is always a worthwhile investment. Whether bought, sold, rented or owned for commercial or residential purposes, it requires tremendous planning, research and strategy. We are empowered with in depth knowledge of the real estate market and thus can provide you effective guidance in terms of investments. While guiding you through the entire process, till final transaction/acquisition of property. We assist the clients in buying and selling of Residential & Commercial Properties – Plots, Flats, Shops, Offices, Bunglows, Villas, Independent Floors and support them in a hassle free dealing. We also provide after investment services for regular updates regarding properties. We are specialized in offering our services to NRI clients and save their valuable time with our quick and hassle free services. Providing initial information on the commercial and residential property market in and around the capital region (including advice on gross rental, availability, normal Lease terms and structures, Location alternatives and tenure issues). Our team works vigorously to ensure the needs and desires of the clients. Right from conceptualization to the completion of the transaction, we leave no stone unturned – to give concrete shape to our client’s dreams. Our team will provide ultimate personalized solutions with a good understanding of client’s specific concerns. Mohali is emarked future commercial city and targeted by an increasing number of outsourcing IT companies capitalize on rich investment opportunities. In industries there are 13 large and medium, 55 small scale units, 90 large medium and 2000 small scale units working. Mohali is favorite destination of all including NRI’s as Mohali is equipped with the beautiful green surrounding and planned city, proposed Lake, Golf Course, coming International Airport. Several major and reputed builders including Ansals, Emaar MGF, TDI, DLF, IREO, UNITECH a many more are developing mega projects with this Mohali is to emerge as favourite destination for global investors and end user with quality and environment. Mohali is a modern well-planned city offering all the facilities and benefits that go into the making of a high quality urban life. Knowledge City: Spread over 400 acres, it will house a management institute, Bio-Technology Institute and Indian Institute of Science Education and Research. This mega city on its international arena is 250 kms from National Capital New Delhi. Having a population of nearly 6,98,317. It is easily accessible by rail, road & air and is surrounded by Rupnagar district, Fatehgarh Sahib, Patiala, Panchkula & Chandigarh. Increasing number of outsourcing IT companies like Infosys Limited , Wipro Limited, Satyam, while global tech giants like Dell – IT Parks, Quark City, Philips, SCL, PUNCOM. Multinational corporations like PTL, ICI Paints, Godrej Group, Airtel, Convergys, IDS Infotech, Ranbaxy Laboratories, Fortis Healthcare Ltd.
IDEATelecom other national operators are headquartered in Mohali. It has envisaged as the hub of an industrial revolution in Northern India because of many enterprising industrial houses. 52 eminent companies have therefore found Mohali as their most favourite destination due to the congenial investment climate coupled with investor-friendly policies. Fortis Super-Specialty Hospital, Grecian Super Specialty Hospital (Sec-69) & a 200 bedded Civil Hospital in Phase-6. Alongwith the above, a Golf course, Thunder Zone Amusement Park, Rich Neighbourhood with series of Multiplexes, shopping Malls, Corporate Suits, world class integrated townships are also coming up. Due to its excellent infrastructure it is to replicate the Delhi-Noida-Gurgaon model.